Losing data happens all the time, it’s a fact of life. Thousands of people rely on your data, from colleagues to customers and everyone in-between. Losing it is an efficient way to bring a business to its knees. Backup as a Service makes sure that doesn’t happen. IT teams have never been busier and infrastructure has never been more complex. In addition to hardware failure and human error, we now need to deal with different data sources and the growing cyber threat. Making sure your data can be recovered quickly without impacting operations is what backup is all about. The difference is the service. Unfortunately, reliable and predictable recovery takes work. Backup is a full-time job that is too time consuming for the experts, and too technical for the layman. No-one gets promoted when it works, but it only takes one failed restore for heads to roll. It’s kind of thankless. Luckily, every day, our engineers monitor your backups and resolve any issues to make sure they’re ready when you need them. They’ve been recovering data every day since 2002, so you’re in good hands. In that time, we’ve seen that proactive trumps reactive, every time. The way you back up your data matters. Scheduling, retention, exclusion and deletion all impact your IT environment. Our technicians design a plan tailored to your needs. This lets you recover from disaster cost effectively and non-disruptively. We monitor your backups every day and report on the completion, status and health of your backup sets. We detail any errors per individual backup set and proactively resolve individual issues. We keep a close eye on your backups to ensure BaaS is growing and changing with your organisation, and not in spite of it. You don’t just get the daily operational health of your backups monitored. Monthly technical reviews of storage growth, changes to your infrastructure and overall SLA achievement means nothing is missed. We now have experts on-hand 24/7, whenever we need them. They know the technology and what to look for to determine if an alert is critical and needs attention immediately. The difference with backup from Databarracks is that... we’re not going to lose data if the worst should happen. The support team take care of pretty much everything – I’ll often receive an automated email, followed up by a phone call, informing me that a backup fault has been resolved before I’m even aware of it at our end. Recovery Time Objective: Seconds for individual file restores through to minutes for full server recovery. Enterprise leading backup and recovery over the full range of data sources, file types, storage media and backup modes — from snapshots to streaming. Securely hosted in the UK from ex-military nuclear Bunkers. Commvault provides a single data platform. Move data to and from the cloud, execute disaster recovery in the cloud, migrate workloads to the cloud and reduce hardware lock-in. Gain awareness, insight, and control of your data. We recommend Commvault for larger organisations that protect a range of sources e.g. 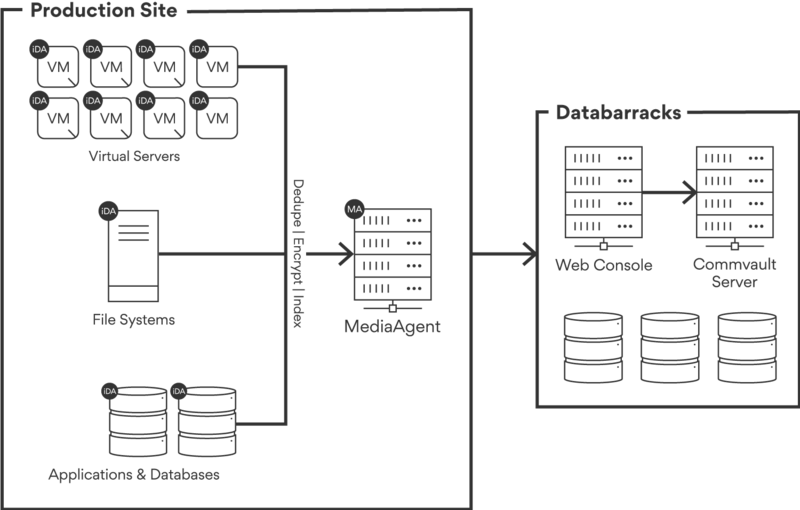 physical and virtual workloads and cloud sources. The leader in enterprise backup, recovery and archive. Commvault backs up large data volumes into low cost object storage across different cloud vendors. Equally great for large enterprises with a big range of systems to protect. Recovery Time Objective: Seconds for individual file restores through to 30 minutes for full server recovery. Agentless, scalable, efficient offsite backup. Securely hosted in the UK from ex-military nuclear Bunkers. Asigra has been a cornerstone for delivering Backup as a Service for over a decade. 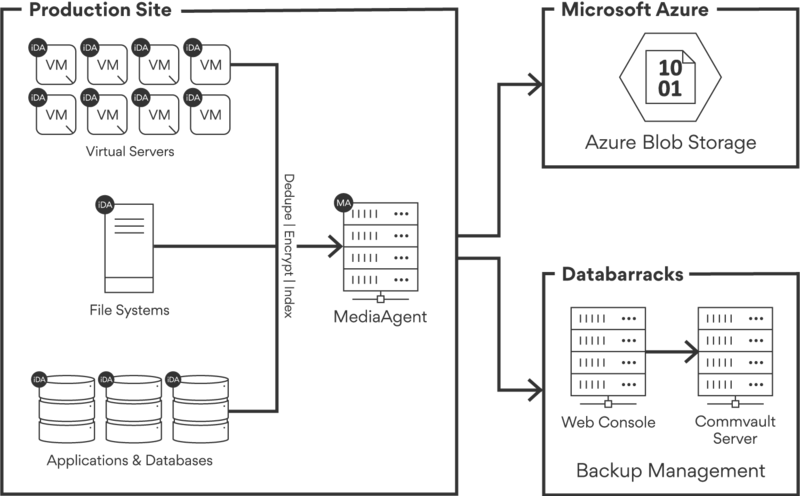 Asigra is one of the pioneers of online, offsite backup with built-in technologies like deduplication and WAN optimisation. It’s agentless, protecting all workloads and devices on your network through a single installation. We recommend Asigra to organisations of any size and any mix of physical and virtual workloads. Asigra’s efficient data transfer means your backups work over internet without disrupting work or dropping out altogether. A cheaper backup solution with fewer licenses, and automated processes that manage themselves and save you time. Synchronise and migrate workloads on a schedule, for a point in time, or ongoing. Enterprise leading backup and recovery over the full range of data sources, file types, storage media and backup modes — from snapshots to streaming. 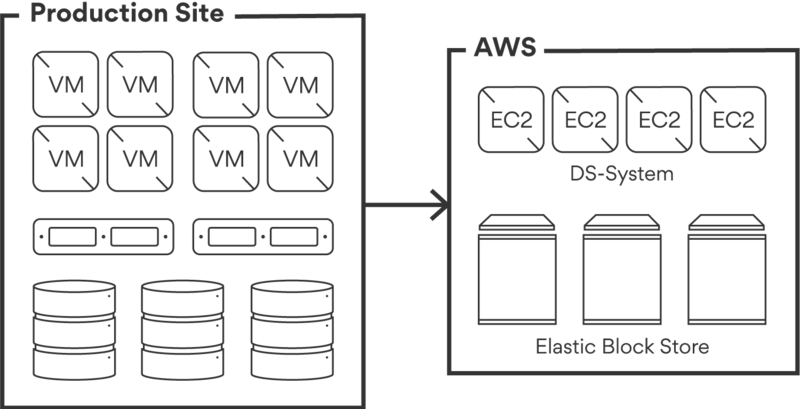 Hosted in your choice of AWS Regions and Availability Zones. Agentless, scalable and efficient offsite backup. 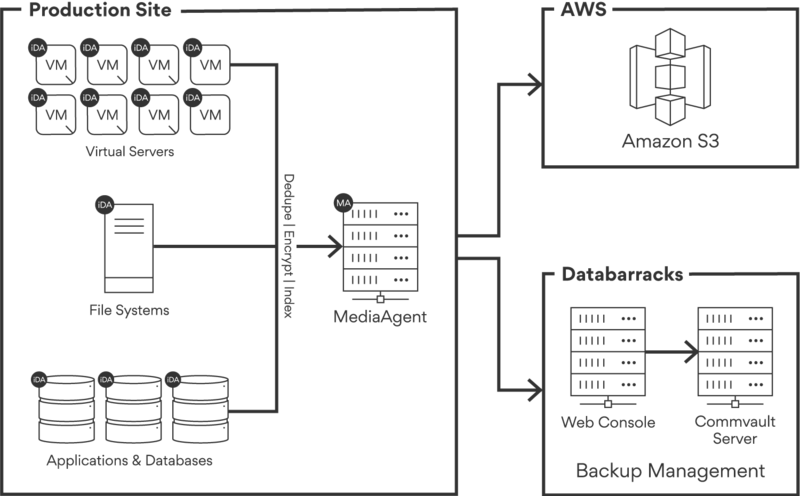 Hosted in your choice of AWS Regions and Availability Zones. 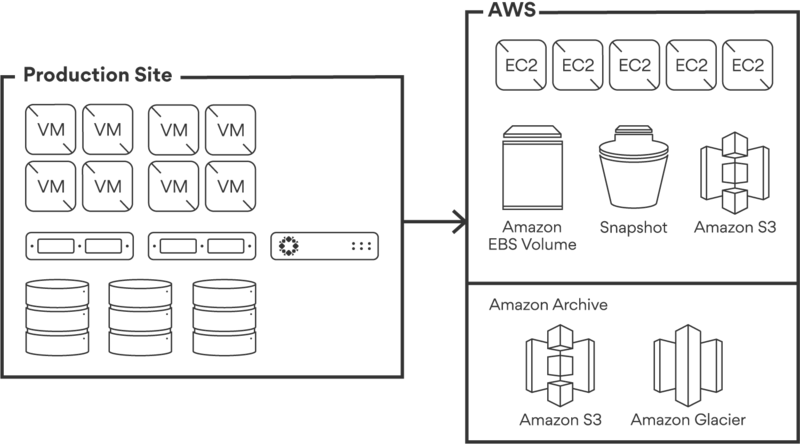 For global organisations, AWS lets you deploy the Asigra DS-System target vaults in each local territory. Recovery Time Objective: Seconds for individual file restores. Minutes for full server recovery. Commvault integrates with Azure to reduce your storage costs. Maintain offsite data protection through reduced data volume and smarter cloud storage. 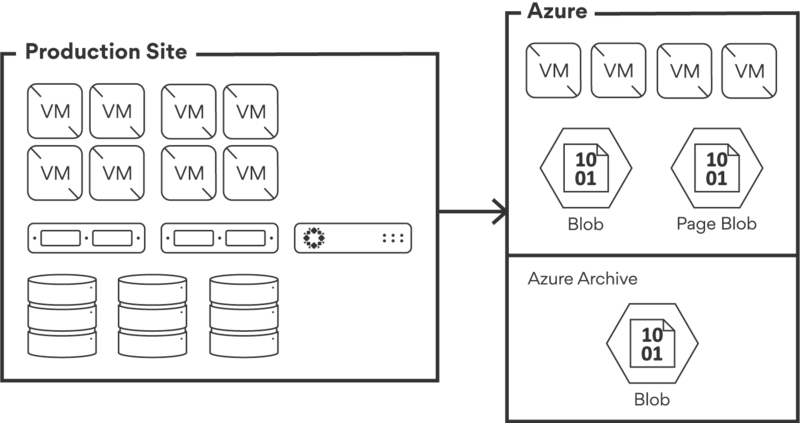 Plus, you don’t need storage appliance gateways and the inherent vendor lock in. Fast, secure protection of critical workloads Protect common file systems on Windows and Linux, applications and databases such as Exchange, Oracle or DB2, SaaS applications like Office 365. Enterprise leading backup and recovery over the full range of data sources, file types, storage media and backup modes — from snapshots to streaming. Hosted in your choice of GCP Regions and Zones. Google is the leader in high scale cloud computing. 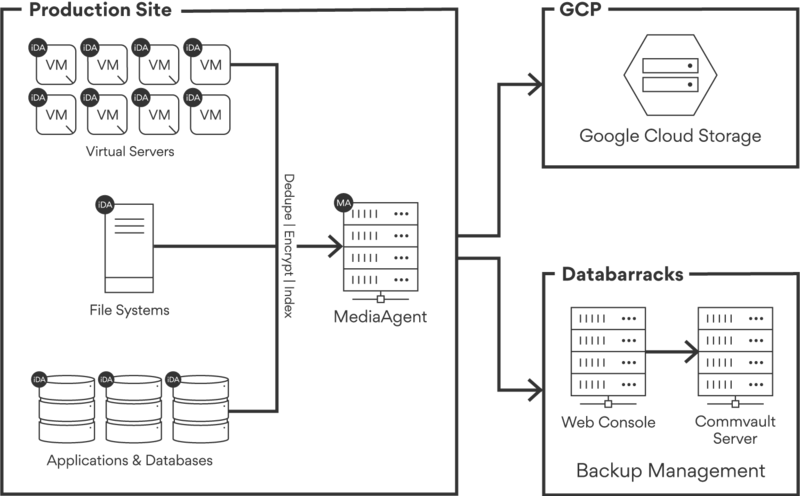 At low cost, access their infrastructure and services - use Google’s private, distributed backbone between data centres. Granular Transfer Out: Pinpoint specific files to export or archive with search functionality, saving time and money. Deduplication: Reduce transfer and storage costs by sending deduplicated data for archival on-site, off-site, or to the cloud. Compliance and Capacity Reporting: Track SLA compliance and system capacity utilization and growth. Automate long-term data retention to Google Cloud Platform (GCP) by simply moving a slider in the policy engine. Instantly access files in the cloud with predictive search. Ensure military-grade encryption in-flight and at-rest for all data sent to GCP. Simplify archival for your Google Cloud backup. Rubrik and Google Cloud Platform are an ideal combination for businesses who want low cost public cloud archive. See how Backup as a Service can help your business.